Start with the 123FormBuilder HubSpot CRM Zap. The trigger is a new form submission. Connect your 123FormBuilder account to Zapier using your API Key. Access My account under your username in the upper right corner. Choose API Keys from the lefthand menu and Copy Key. Paste the key into Zapier. Choose Test to confirm that your account is connected, then Save and Continue. Select the 123FormBuilder form you want to trigger a submission to HubSpot. You can type in the name of the form to find it. Choose a sample submission to set up your connection with HubSpot and continue. Choose to Create or Update your contact. Connect your Zapier account to your HubSpot account using your HubID. Log in to HubSpot and copy your HubID from the upper righthand corner of your account. Enter your HubSpot credentials and authorize Zapier to connect. Enter a contact email address and create a new submission to test sending data from a sample form and confirm that the details transfer. Choose to create or update your contact, then test the update. Check if the test submission was successful. If so, Finish. 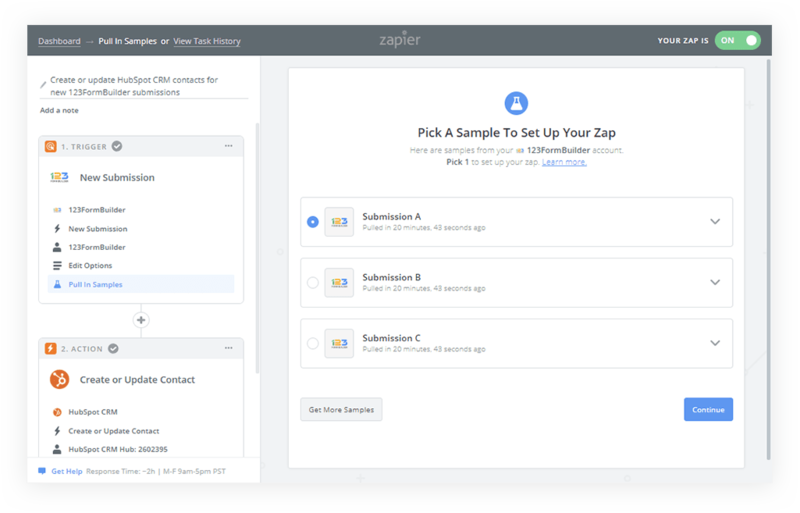 Turn on your Zap and confirm that it’s in your Zapier dashboard. Connect other 123FormBuilder forms to HubSpot as needed. That’s it! 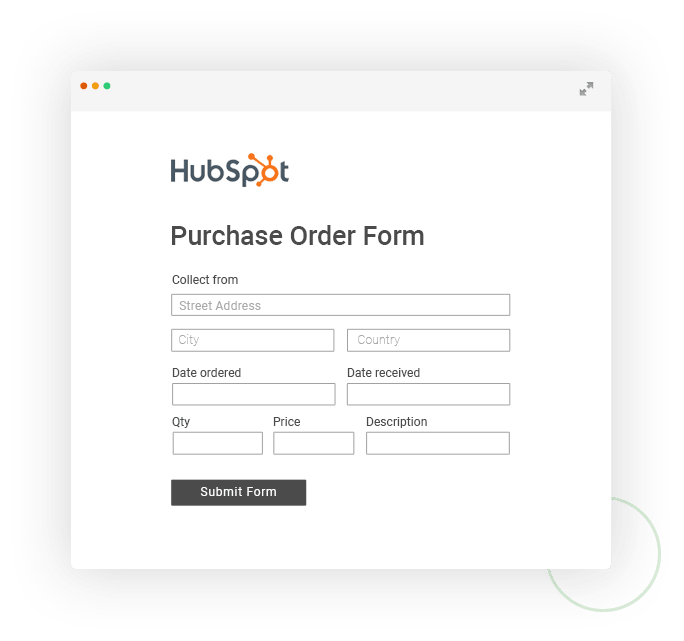 You can use advanced options with this 123FormBuilder to HubSpot integration, such as tracking the data an account was created or updated. You’ve just unlocked even more power in your 123FormBuilder forms by using them to update important contact, deal or company information in your HubSpot CRM. HubSpot is a leading CRM, marketing, sales, and customer service platform. Since 2006, HubSpot has been on a mission to make the world more inbound. Today, over 44,500 total customers in more than 100 countries use HubSpot's award-winning software, services, and support to transform the way they attract, engage, and delight customers.